Bring coastal style to your bedroom with the Catalina Neckroll. 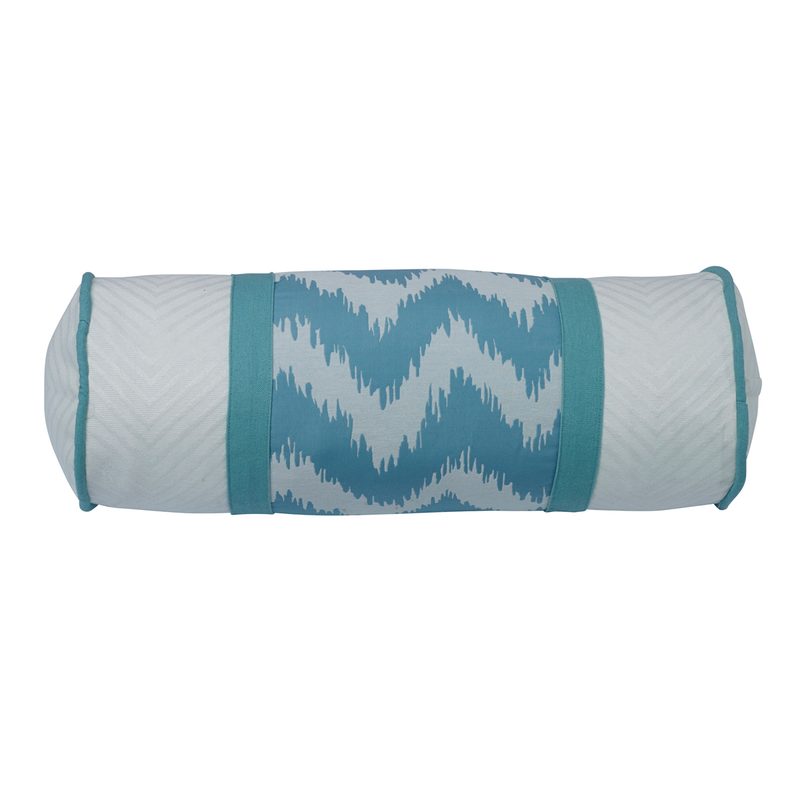 This neckroll pillow has a chevron ikat-style print with textured solid white ends and aqua accents. Ships from the manufacturer. Allow 1 to 2 weeks. For further pieces, we ask you to take the occasion to explore our whole assortment of beach bedding at Bella Coastal Decor today.